LOS ANGELES – Police is currently analyzing a knife that was reportedly found at the former L.A. home of the retired American football player O.J. 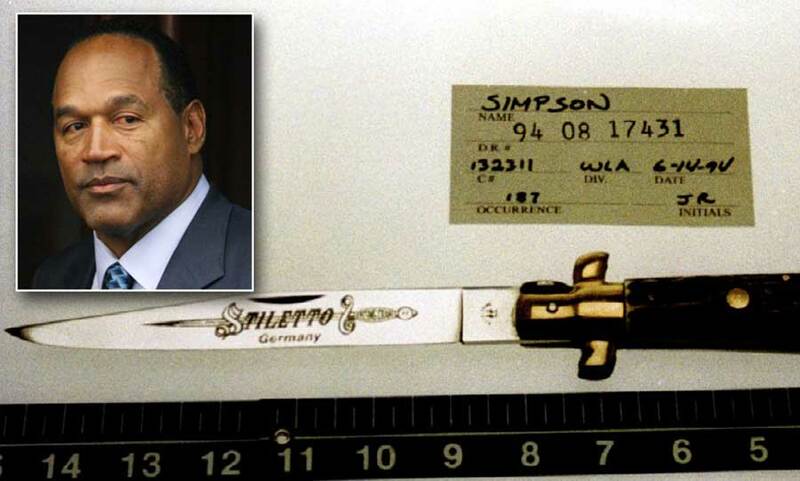 Simpson, who was acquitted of stabbing his ex-wife Nicole Brown Simpson and her friend, in the context of what is described as one of the most publicized criminal trials in the United States history. Forensic investigators are already searching for DNA traces on the blade, which was handed over to police by a retired motorcycle officer, according to Lieutenant Andrew Neiman from the Los Angeles Police Department, who talked to reporters at a news conference on Friday, said Reuters. He explained that the knife was given to the retired police officer by a construction worker, who found it in a former home of Orenthal James Simpson at Brentwood neighborhood in L.A. when it was being knocked down in 1998. It appears that the worker found the knife on 1998. Four years before, Nicole Brown Simpson and her friend Ronald Goldman were stabbed to death nearby her condominium. However, the murder weapon was never found by police officers. As a result, the trial was extensively covered by major TV networks and newspapers. By the time of the trial, a forensic expert said that Simpson and Goldman were probably stabbed to death with a single-bladed, six-inch knife, according to Reuters reporters. Police did not specify during the news conference how long is the weapon, and when it was given to the police officer. “We still don’t know if that is an accurate account of how this item came into our possession. If you are the individual that provided that knife (to the police officer) we would love to have you contact our Robbery Homicide Division,” said Lieutenant Andrew Neiman, according to Reuters. Unnamed sources described the knife to the celebrity website TMZ as a folding knife commonly used for hunting and fishing. On the other hand, NBC News said that officials who talked anonymously described it as an inexpensive blade that is typically used by construction workers and laborers, which does not match with the description of the murder weapon. Even if the knife is identified as the murder weapon, Simpson cannot be put on trial for the murder of his ex-wife and her friend, since the procedure of double jeopardy forbids him of being tried again on the same or a similar case, because he has already been declared not-guilty. The lead prosecutor in the trial, Marcia Clark, admitted on Friday to Entertainment Tonight that she was impressed, saying that even if it turns out to be a hoax, it is important that police takes the subject seriously and conducts DNA tests to determine if the knife is the murder weapon of Nicole Brown Simpson and Ronald Goldman.